Hello Sunshine! Happy July, Happy Canada Day and Happy New SOTM! 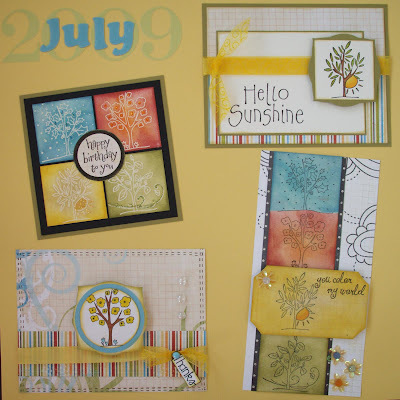 I'd like to introduce you to another fabulous set of stamps- a four seasons cube (except it's not cubed, it's clingy!) 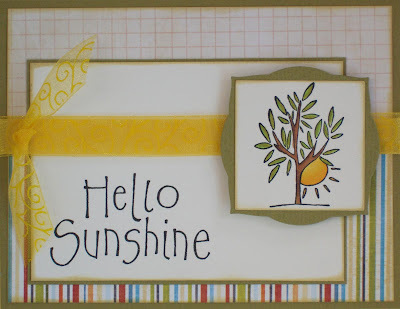 from Sunshine Designs by The Stamp Barn! This is the first time we've ordered images from Sunshine Designs, though we're no stranger to The Stamp Barn... it seemed fitting to order CANADIAN for our July SOTM, so I hope you'll enjoy it! My title is a combo of the 'enjoy' QK alphabet and the new no. 73 number set! I personally have a 'thing' for four seasons stamps and have quite a collection of them, including some favorites by Hero Arts which I've even used to win contests in the past! I'm actually a little surprised it has taken me this long to choose one as our SOTM! For this first card, I played with Ranger Distress Ink and a unique card size, I think it's 3.5x7, to make my design fit on a card surface- these stamps are designed to fit on a 2" cube and are each around 1.75" tall. I used a QK nesting label die and all these cards feature papers by Fancy Pants! 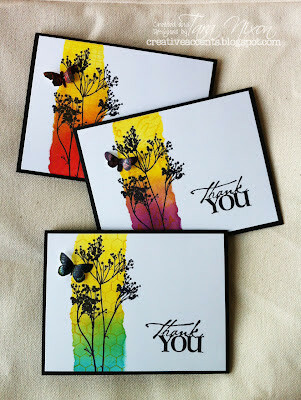 The sentiment on this one is by Stamping Bella, as are the Bella Dots- the flower sequins are from Hero Arts. This is a 'classic' four seasons card- I embossed each image in clear on off white cardstock then used two shades of distress ink on each square and added a touch of glitter glue. The sentiment is part of our June 2009 SOTM set. This card makes me happy, I think I'll be making more of them! 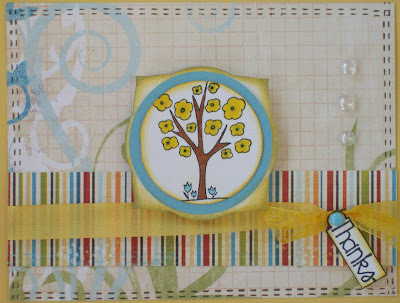 Tanya made this cheery little number with the spring season stamp! 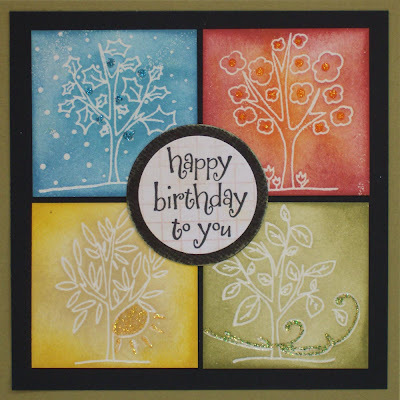 This card also features a sentiment from one of my fave sets by Cornish Heritage Farms and my new Nestabilities labels- I love that they can be layered with both circles & squares! The stitches are from a set by Clear Dollar Stamps. Thanks for reading! I'd love to hear which card or season stamp is your favourite! I've noticed I'm choosing alot of cling mounted or clear stamps lately for a SOTM, if you're part of the group, what are your thoughts on that? Should I try to choose a wood-mounted stamp again soon, or are you liking the versatility of sets? Any requests for a stamp company I should feature in the coming months? You should know by now that I like to mix it up! Must say I'm really starting to like NO73 QK!Mite just have to get it!